Kingsmen Wrestlers chill before the Championship bouts. The Sectional Finalists meet before the Championship bouts. 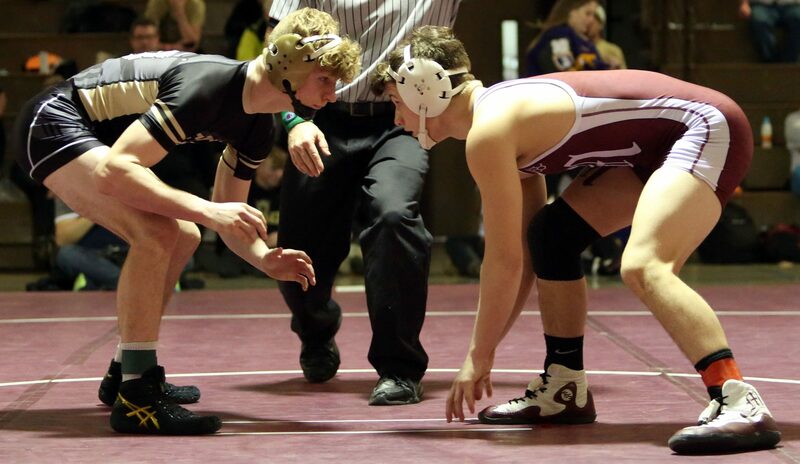 Tanner DeMien, right, meets his opponent during the introduction of the Wrestlers in the Championship round. 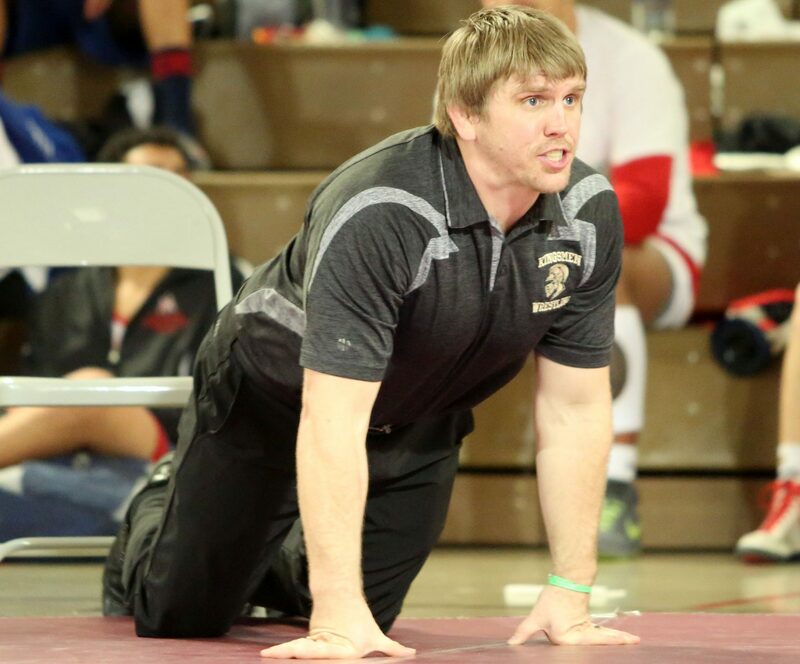 Assistant Coach Taylor Hart gives the Kingsmen instructions. 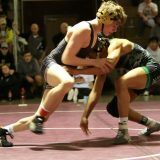 Vince Sparrow taking down his opponent. 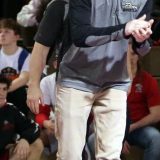 Logan Hill getting ready for his match. 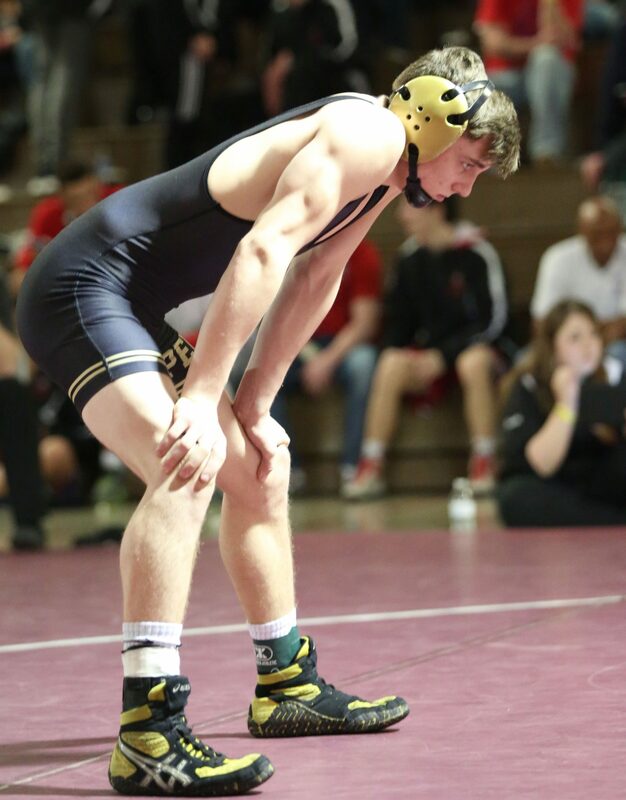 Logan Hill gets ready to face off against his opponent. 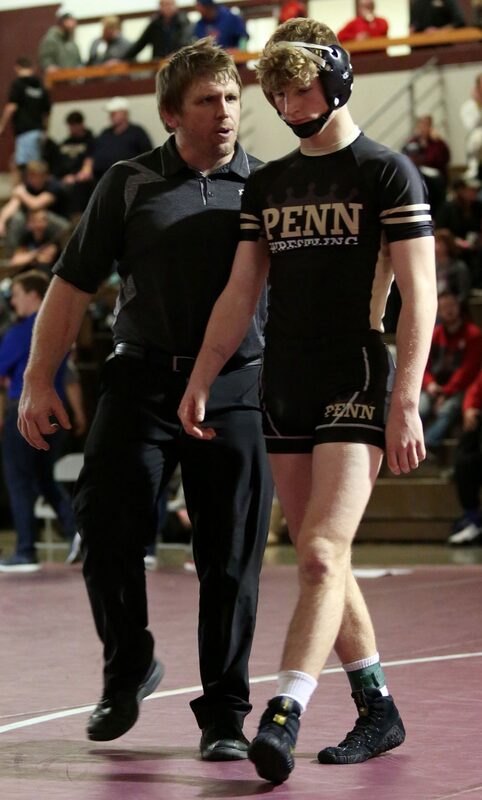 Penn Head Coach Brad Harper gets intense. 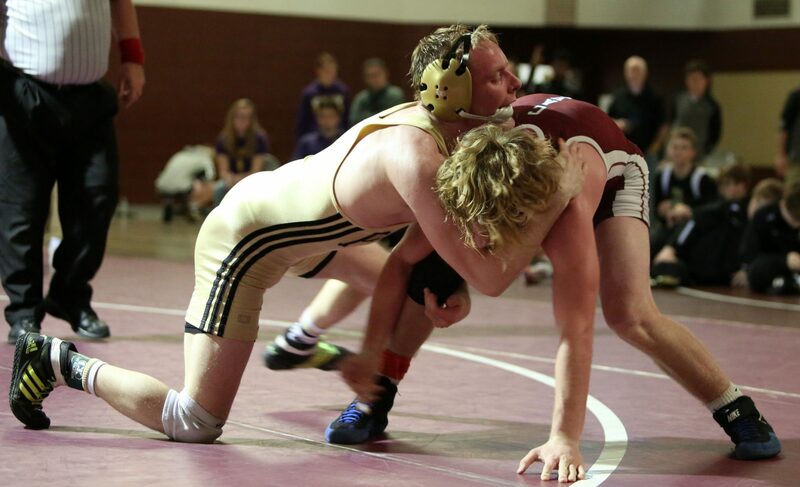 Preston Risner with the takedown. 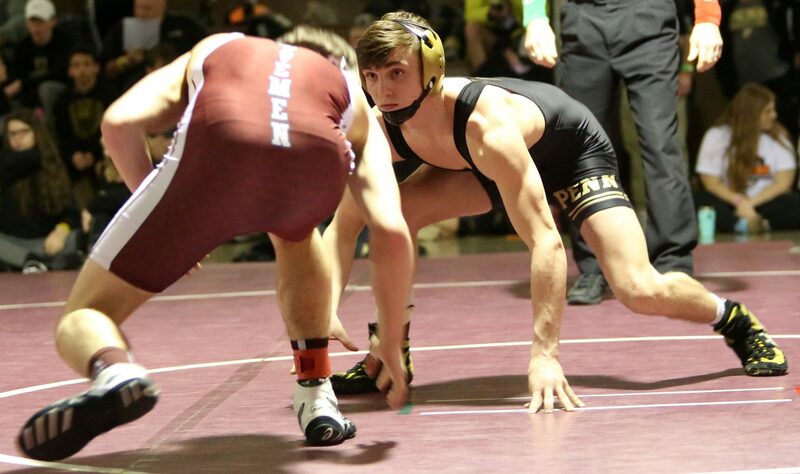 Preston Risner making a move. Preston Risner gaining the upperhand. 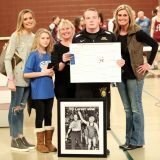 Preston Risner’s family celebrates his 100th career victory. Coach Brad Harper talks to his nephew, Jeffrey Harper, before the Championship. Head Coach Brad Harper shares a moment with his nephew, Jeffrey Harper. Jeffrey Harper gets ready for the battle to begin. Jeffrey Harper goes for a takedown. 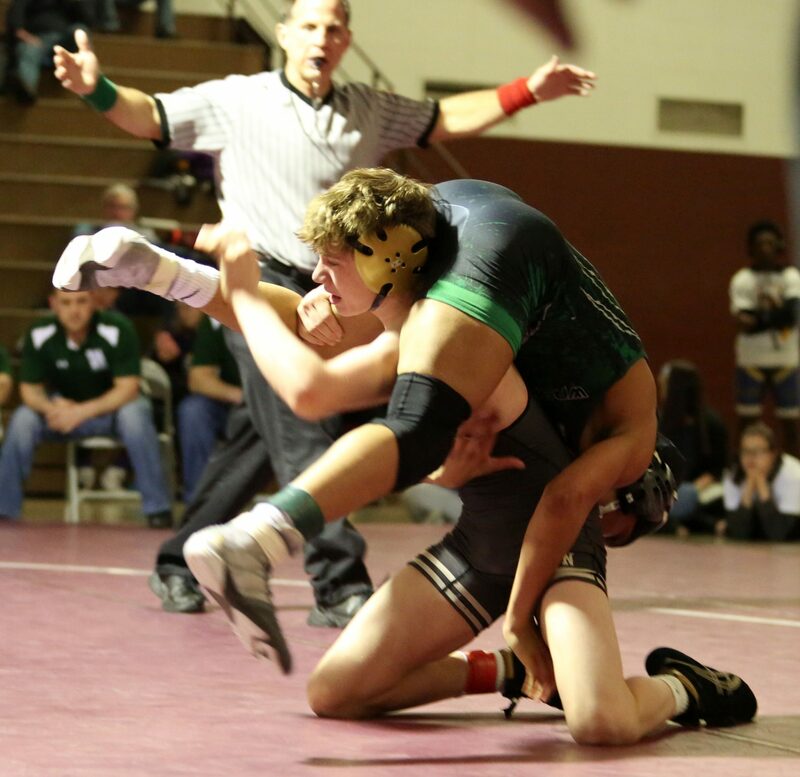 Noah Brown working for a pin. 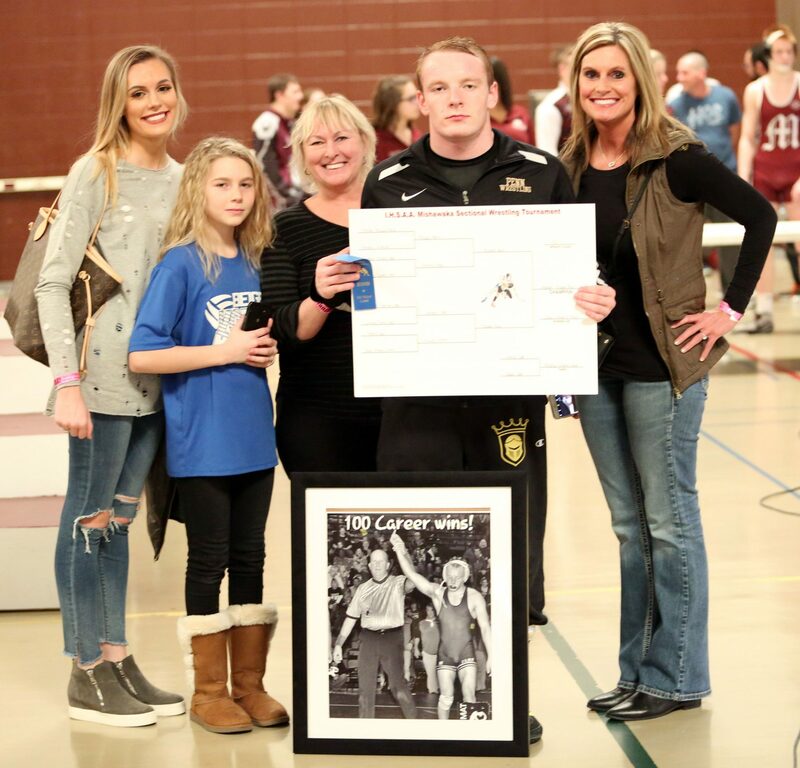 Noah Brown is a Sectional Champion. 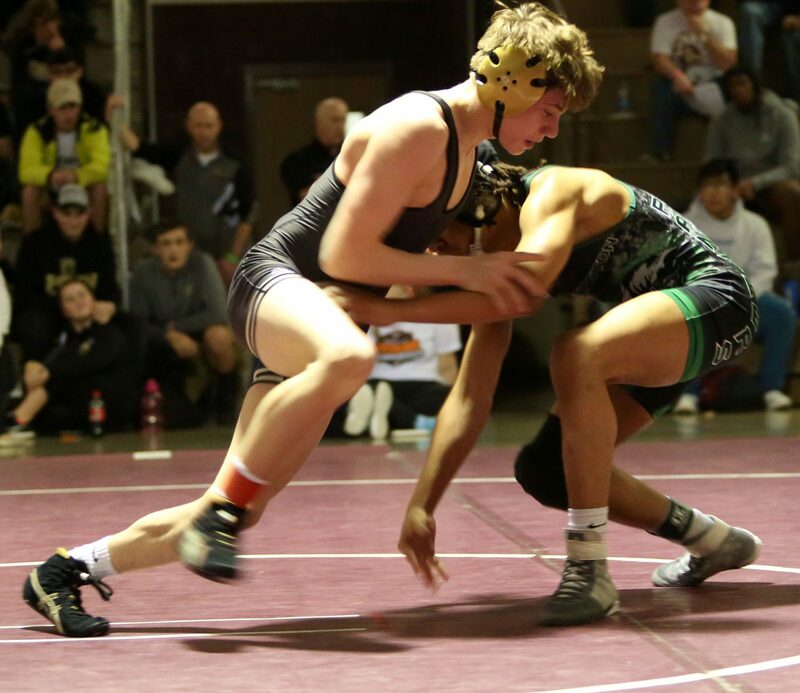 Max Chaffee on his way to a Sectional Championship. 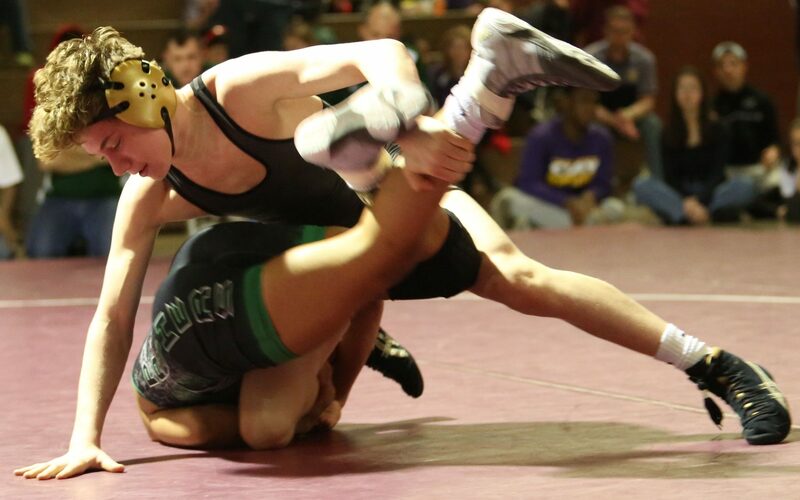 Rockne Hurley going for the pin. Rockne Hurley nailing down the pin. 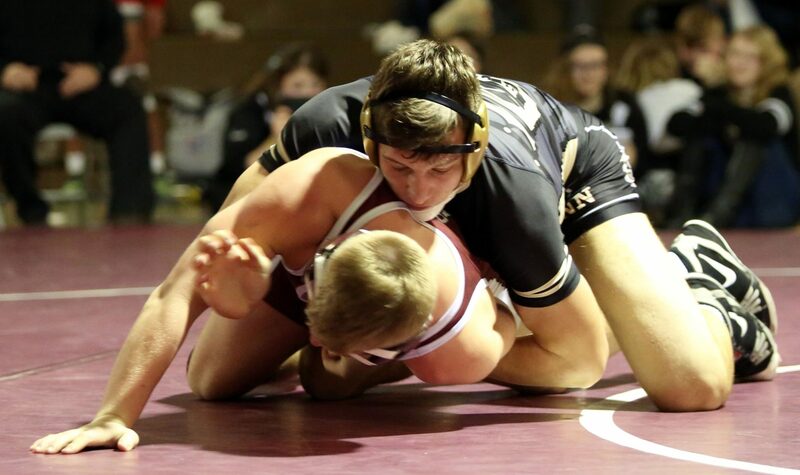 Adam Berta looking to rack up six points for the Kingsmen. 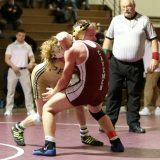 Adam Berta working for the pin. Adam Berta closing in on the stick. 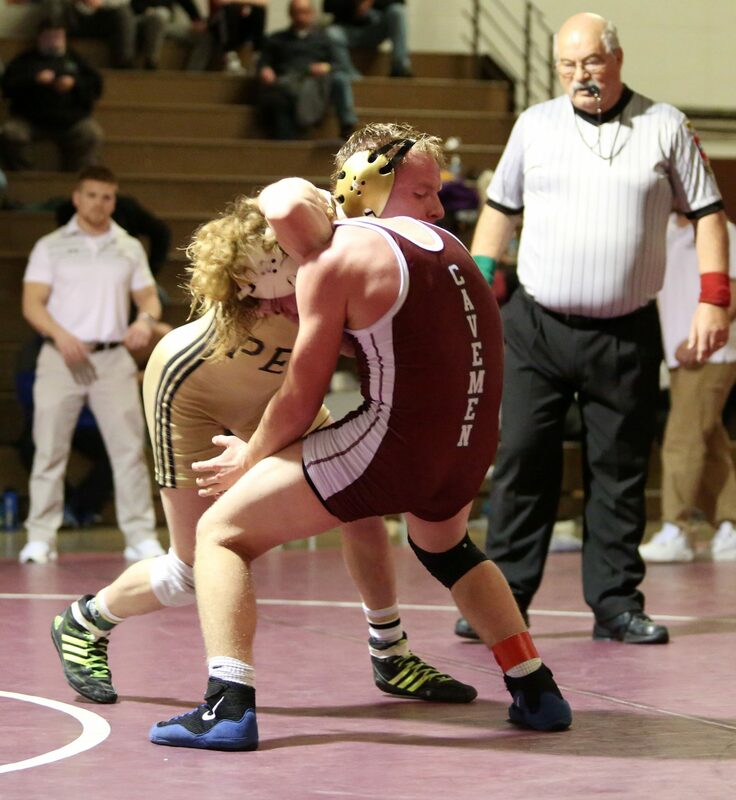 Adam Berta close to locking up the pin. 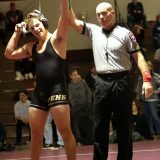 Adam Berta about to get the pin. 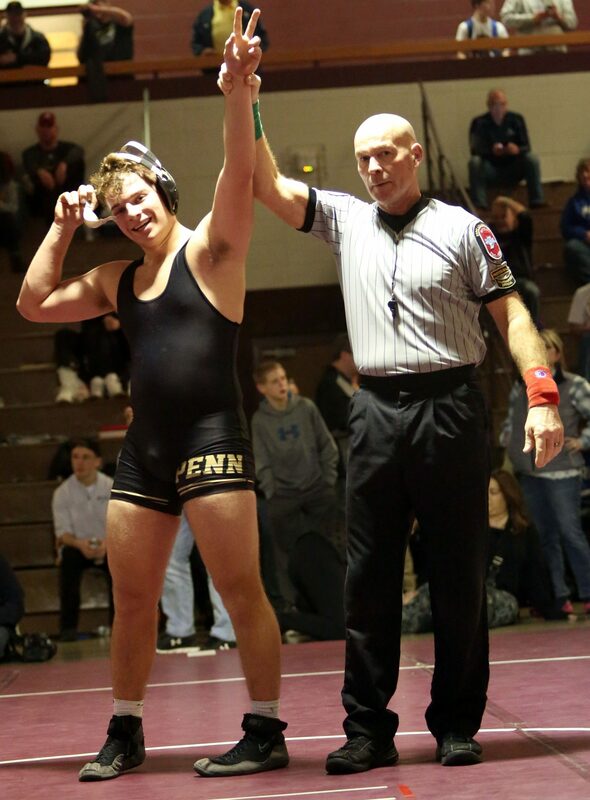 Adam Berta is a Sectional Champion. 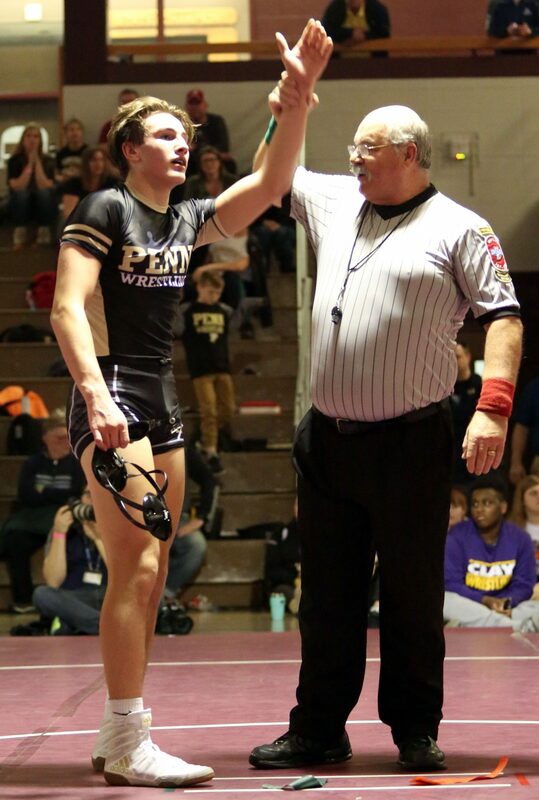 Penn boasts seven individual Sectional Champions. The Sectional Championship Trophy is in Kingsmen hands. P-H-M Supt. 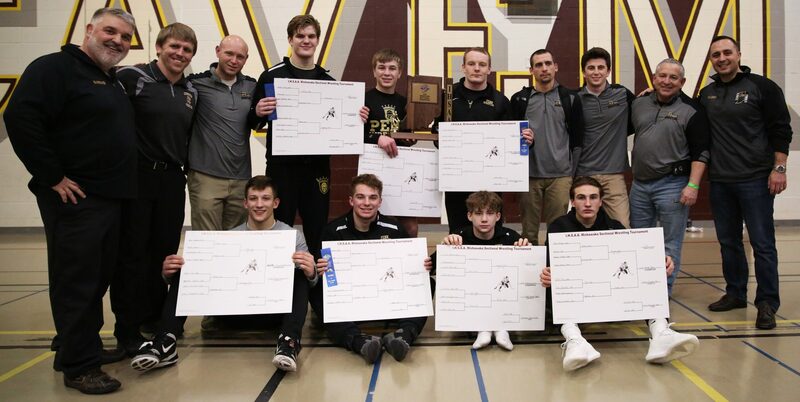 Dr. Jerry Thacker, Head Coach Brad Harper, and the Sectional Champion Penn Kingsmen.